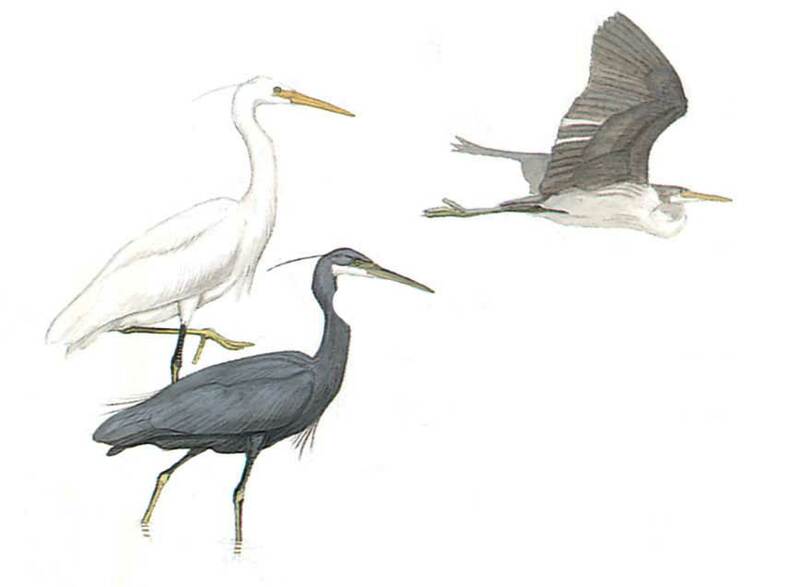 White, dark and intermediate phases occur.White phase similar to Little Egret but less elegant with thicker bill. Bill pale brown to yellowish usually with reddish flush in breeding season. Legs brownish green. Dark phase is slate-grey with white chin and throat and occasionally a few white flight feathers. Juvenile in white-phase often has grey feathers, dark phase is paler grey than adult with white on fore-neck, breast and belly. Outside of the breeding season the facial skin is yellowish or greenish yellow. Typical feeding behaviour is slow wading in shallow waters with occasional rushes for prey.